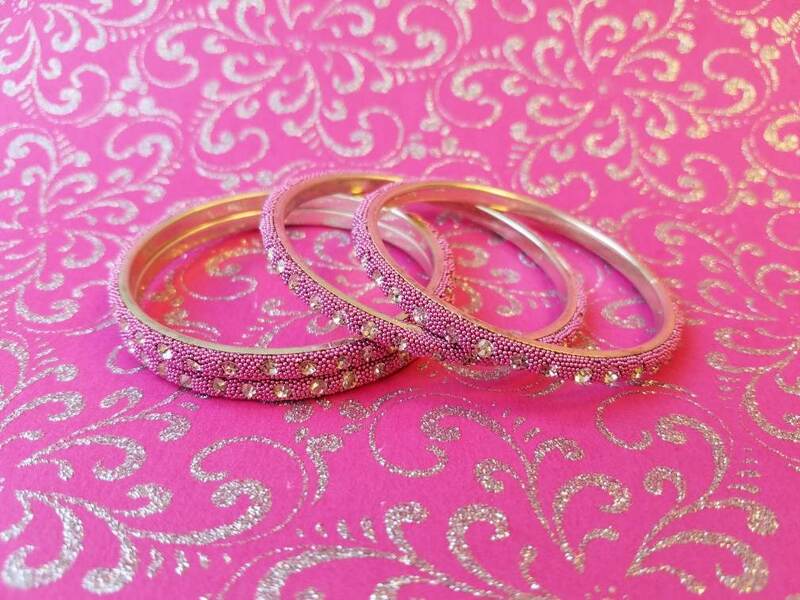 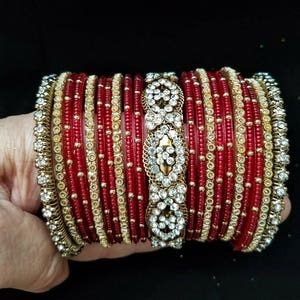 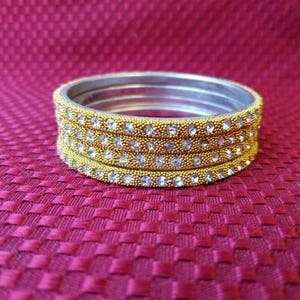 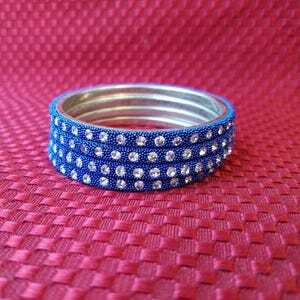 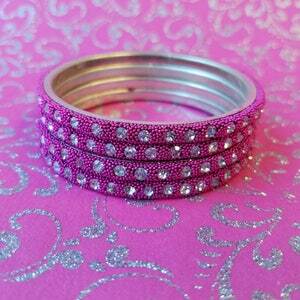 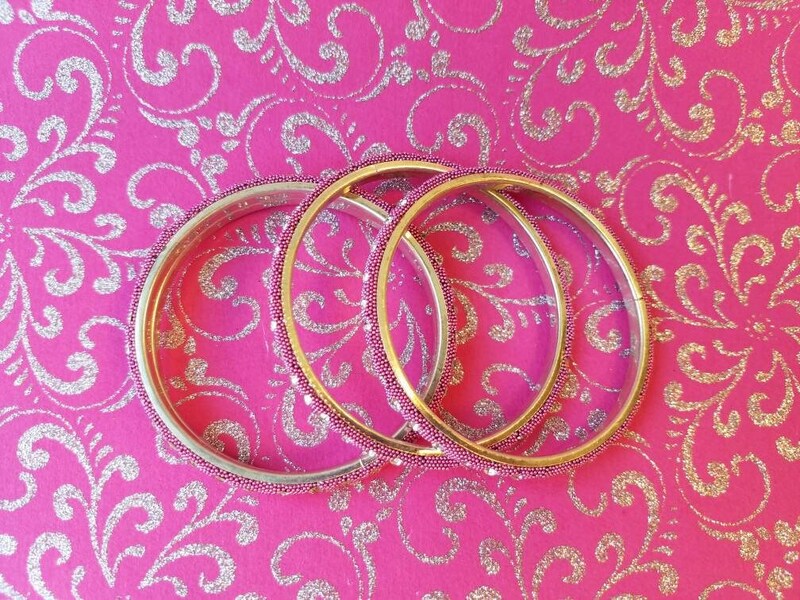 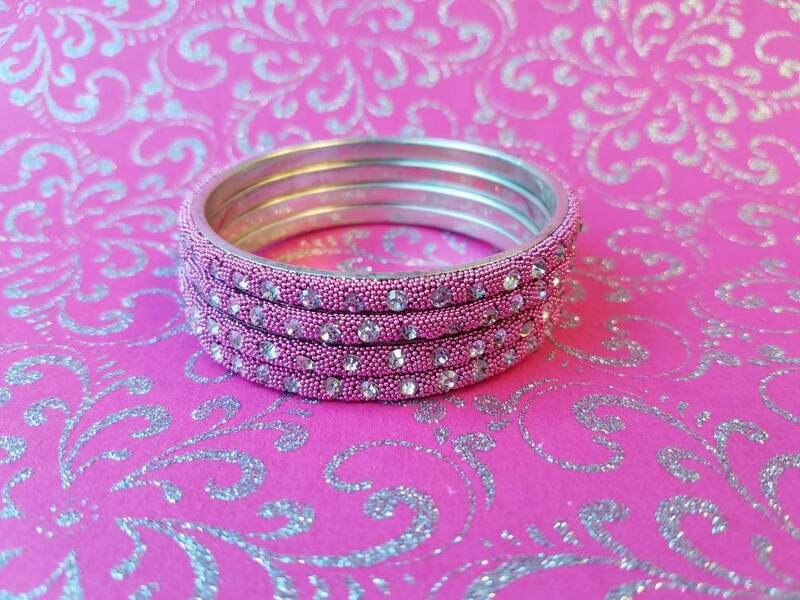 Cute set of 4 pink stacking bangles with evenly spaced rhinestone inserts. 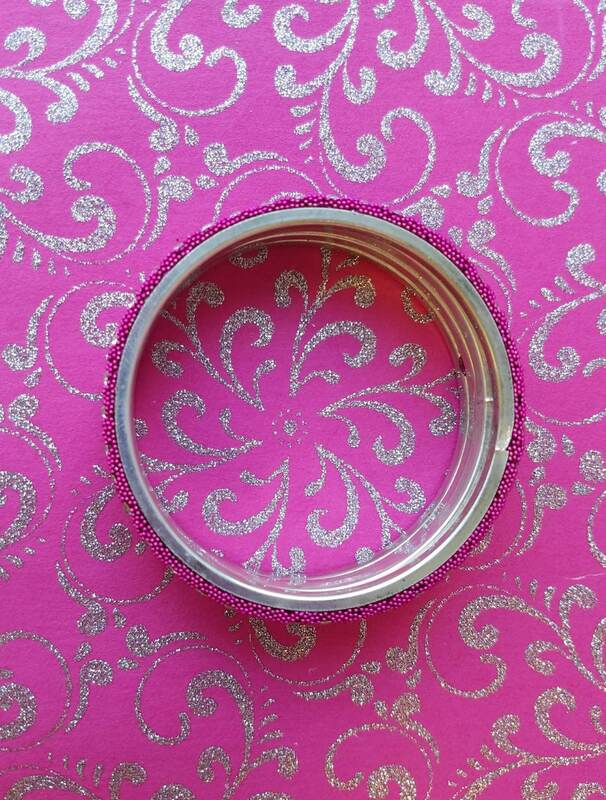 Textured surface. 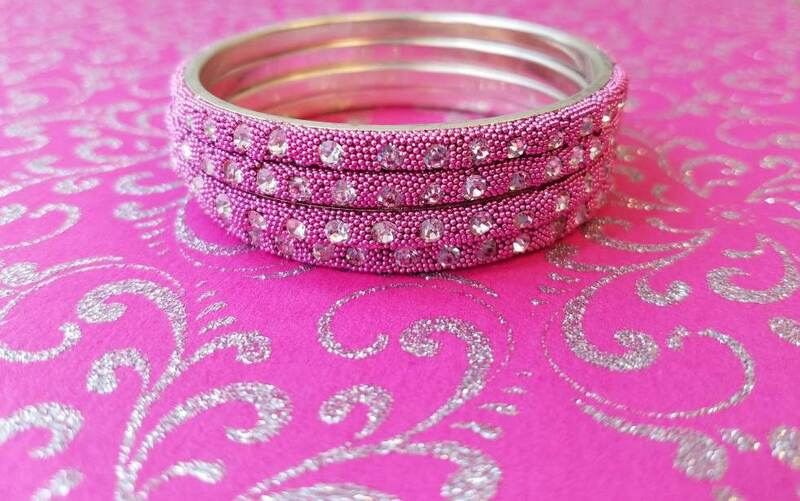 Perfect for a gift for a young lady!